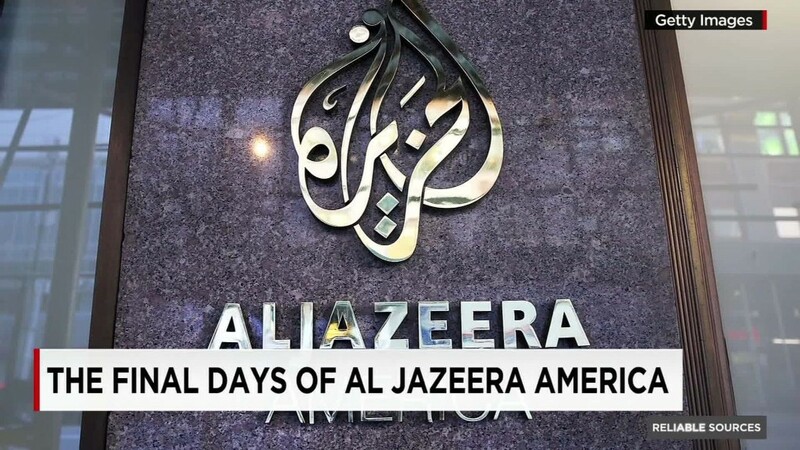 Al Jazeera America will fade to black on Tuesday night not even three years after it launched. But its CEO, Al Anstey, feels the news channel achieved something special. "We are signing off but, somewhat counterintuitively, I believe we succeeded," Anstey said. "People believe passionately in what we did." The channel prioritized sober, serious journalism. The way it was marketed -- as "fact-based, in-depth news" that gives "voice to the voiceless" -- implicitly criticized competitors for devoting too much time to opinion and official sources. Earlier this year, the channel's owner, Qatar, decided it could no longer bankroll Al Jazeera America, or AJAM for short. Roughly 700 people will be out of work after Tuesday. But "we will leave a legacy behind that says real journalism matters and we made our mark," Anstey said in an interview with CNNMoney. Others are not so sure. The lessons of AJAM's short television life are now being debated in other newsrooms. Were its low ratings the result of management mistakes that pre-dated Anstey's tenure, a misplaced sense of self-righteousness, or something else? "It was a courageous experiment, in the current media environment, to do smart television news, with no sensationalism and no partisanship," with a particular emphasis on international news, prime time anchor Antonio Mora said. "For me, it was an absolute pleasure," Mora added. "But our demise also raises the question of whether a mass audience exists for that kind of news in the U.S."
Anstey's answer is yes. "I still think there's a market for great journalism," he said. He joined the channel's president, Kate O'Brian, for an exit interview of sorts late last week. "The kind of journalism that we did is the kind that America deserves, frankly," O'Brian said. "That is our legacy." Among rank-and-file employees, as well, there is a real and lasting sense of pride in the newscasts and documentaries that were produced along the way. AJAM's peers took notice -- as evidenced by the many awards and accolades the channel earned. But, of course, Al Jazeera never held a monopoly on "great journalism." And the channel struggled to get its work in front of a mass audience, partly due to difficult relationships with cable operators. At any typical hour on a typical day, about 20,000 people were tuned in, according to Nielsen. AJAM was showing steady but slow ratings growth when its board of directors decided to pull the plug in January. Anstey and O'Brian declined to discuss the board's decision. Other sources have said that budget cutbacks in Qatar -- tied to falling oil prices -- were a major factor. Anstey was diplomatic when asked about his CEO predecessor, Ehab Al Shihabi, who was widely criticized by sources inside the network. Lawsuits filed by ex-employees during Al Shihabi's tenure alleged anti-Semitism, sexism and a culture of fear. After Anstey took over and worked with O'Brian on a long-term plan for AJAM, there was a prevailing sense among reporters and producers that the channel had turned a corner. O'Brian expressed disappointment the team didn't have more time to implement the long-term plan. She also said the 90-day period between the board's decision and Tuesday's sign off strengthened the existing bond among staffers. "We all came here to do this. So we want to end doing this," she said. "There was a real desire to go out on the highest high possible," Anstey added. News crews followed up on some memorable topics and re-interviewed subjects of past stories. AJAM was credited with covering the Flint, Michigan water crisis before most other news outlets, for example, and a team recently returned to the city for a special report. During the channel's last few days on the air, segments called "Your Stories" have been looking back at past interviews and investigations. The branding was deliberate. "We told stories nobody else would tell," O'Brian said, citing in-depth coverage of issues affecting Native Americans on reservations and elsewhere. Anstey and O'Brian said they did not know where they'd work or what they'd do after Tuesday. Some AJAM staffers are seeking work at other channels and web sites, they said, while others are looking at non-governmental organizations and other nonprofits -- places with the "same DNA" as Al Jazeera, O'Brian said. Anstey's hope is that AJAM's values will permeate other news outlets through the hiring of ex-staffers. He shared a copy of the one-page "editorial identity briefing" that he and O'Brian developed in consultation with the newsroom last summer. It describes what the channel wanted to be. "Have courage in our journalism," it says. "Own a story. Run with it. Be bold." AJAM's work will be celebrated during a three-hour special from 6 to 9 p.m. Tuesday. The channel will shut off at midnight Eastern time. Al Jazeera says it will "expand its existing international digital services" to the United States later this year. The AJAM executives said they knew little about it. Their focus has been on shutting down the television channel the "right way," with as much grace as possible. Anstey held up several pages of viewer comments that were posted on the AJAM web site's goodbye essay, and read his favorite: "Please dont go. Aljazeera is like the girl I just met, im not sure where it going but its more true then anything I have ever encountered in my life..."
The passionate comments, he said, are evidence that Americans were hungry for substantive news coverage, even if the Nielsen ratings didn't register all of them. O'Brian pointed to the comments and said, "All these people are waiting for it!"